Before he was cast as the 12th Doctor he was playing the character of Cardinal Richelieu the main protagonist on The Musketeers. (Which is pretty good by the way) Here he talks about his former role Cardinal Richelieu and The Musketeers. 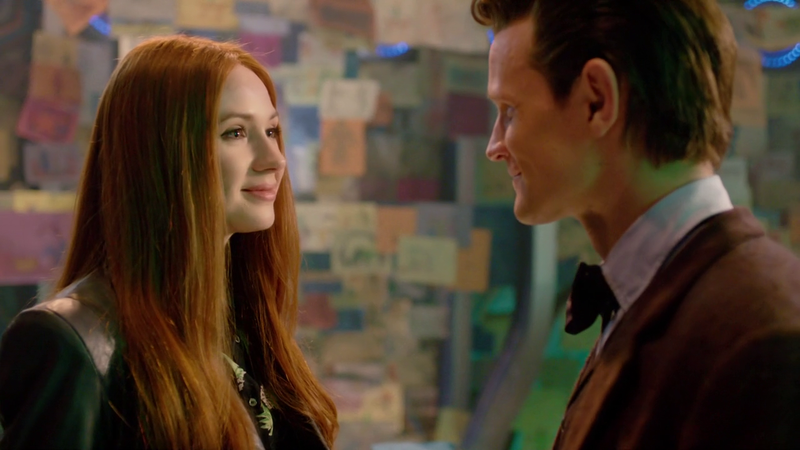 Karen Gillan who is known to all Whovians as The Girl Who Waited Amy Pond will be attending The Wizard World Convention Tour in the cities of Chicago, Philadelphia and Austin. 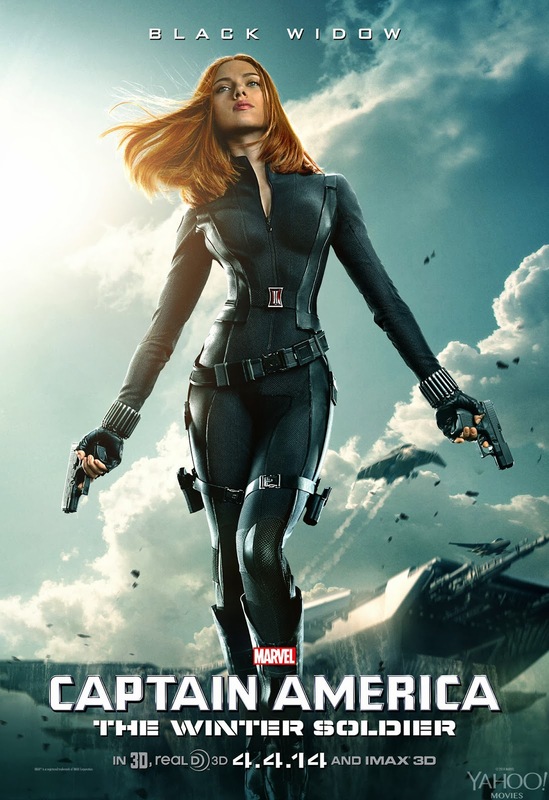 This is pretty cool for US fans as we have three chances to see Karen Gillan this year and what is an added bonus she will also be promoting her new movie Guardians of the Galaxy also. You can read all the details as to the dates and ticket packages from the link below. 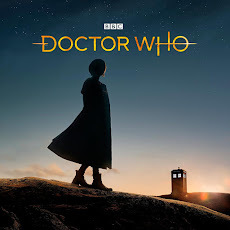 Silva screen will be releasing a soundtrack for the docudrama of the 50th anniversary special about the beginning of Doctor Who "An Adventure In Space and Time." It will be out March 3rd. 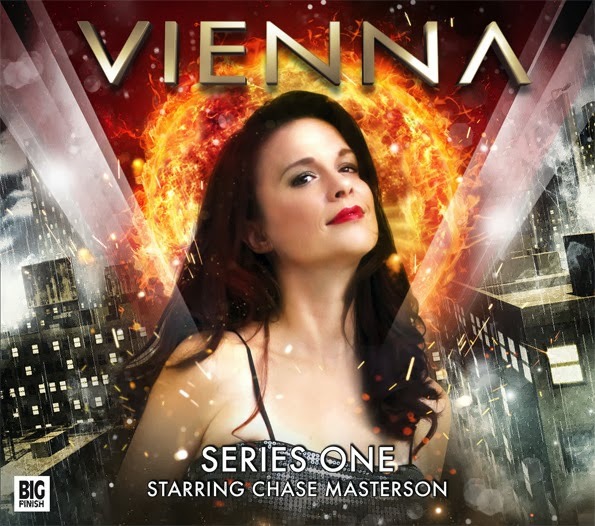 The popular bounty hunter Vienna gets another audio adventure but this time in a box set of three adventures. She is no stranger to fans of the Doctor Who Main Range as Vienna has crossed paths with The Doctor before. Now it is time for her to take center stage as Chase Masterson and Frazer Hines star in this box set. You can get it from the Big Finish website. 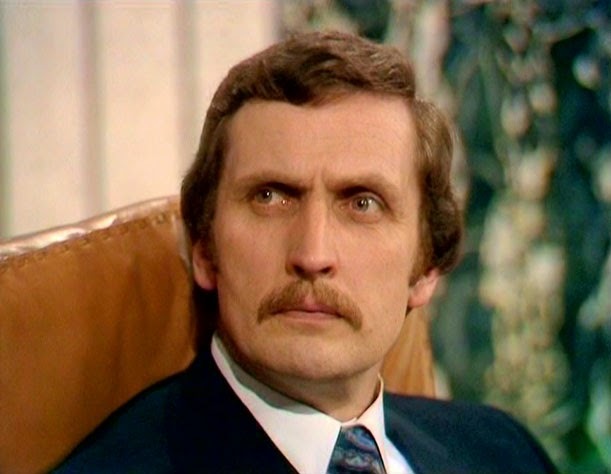 The Doctor is recalled to the courtroom space station of the Time Lords. The Doctor wants nothing to do with another trial and bellows out his displeasure about being recalled. He objects mightily and extremely loud to The Inquisitor that she bellows out in frustration for The Doctor to shut up. Eventually he does and he stays quiet enough to find out why he was recalled. 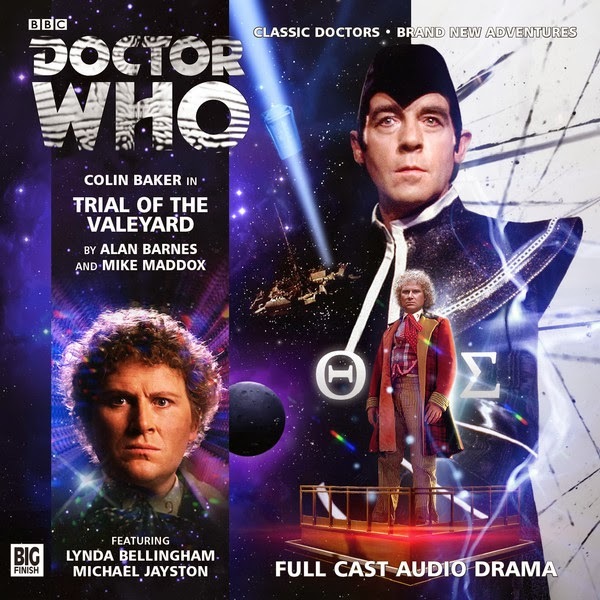 It appears the person on trial is not The Doctor per say but in fact The Valeyard. This revelation makes The Doctor happy and hopes he is found guilty and executed. What The Doctor doesn’t realize is that he is not a witness but in fact he is The Valeyards defense attorney. 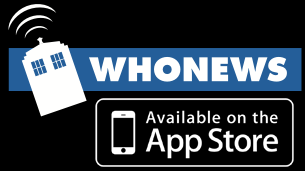 What ensues next is a mystery that The Valeyard wants The Doctor to solve that could have ramifications on Time Lord’s and The Doctor himself. 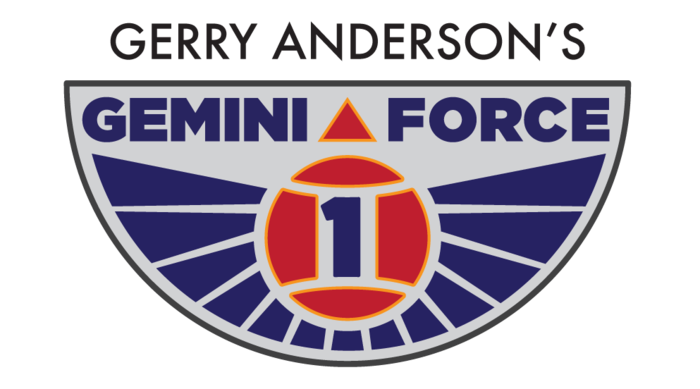 Jamie Anderson, son of the late Gerry Anderson (Thunderbirds, Space:1999) has reported that thanks to the Kickstarter support for a book based on an idea of Gerry's, Gemini Force 1, Orion publishing is set to produce a three book series. Originally planned for one book funded with Kickstarter, the project surpassed it's goal and Orion will now set up world wide distribution for the book series. Jamie hopes this increases the chances that the idea of Gemini Force 1 might be picked up for a TV series as well. Author MG Harris will write the books based on Gerry's ideas which he came up with in 2008. The books will start to come out in 2015 although people who took part at the right level in Kickstarter will get the first book early. The BBC and Doctor Who Producers have revealed to us what the 12th Doctor Peter Capaldi will be wearing during Series 8. So far we have only seen him in Matt Smith's costume and in filming pictures in a Victorian era nightshirt. So here you have it at long last what Peter Capaldi is wearing as we have something that looks similar to Matt Smith but with a Hartnell/ Troughton type of style thrown in but definately reminds me of Pertwee. So let us know if you like it or hate it as it will sure take some time getting used to it but at least we know what he is wearing and I like it so far. A brand-new era of Doctor Who begins as the Time Lord dons a new look. Each incarnation of the Doctor has his own original style, and BBC AMERICA has just released the first photo of the Twelfth Doctor’s costume. 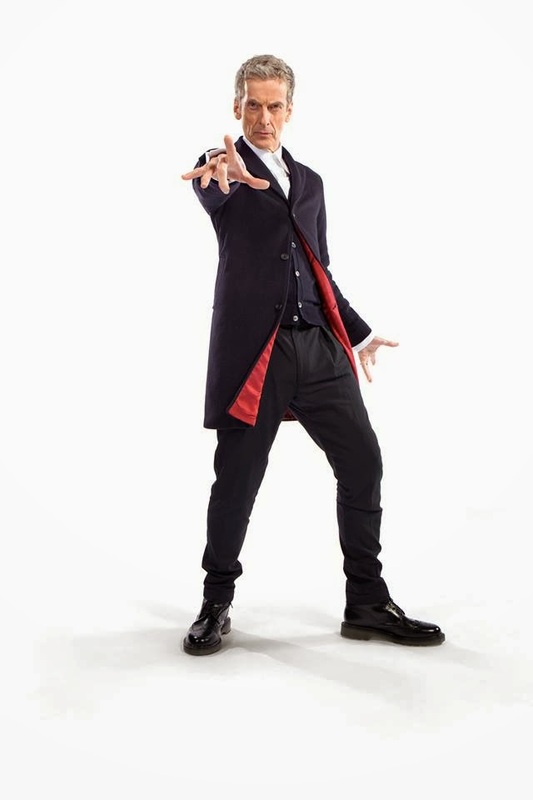 Sporting a dark blue Crombie coat with red lining, dark blue trousers, a white shirt as well as black Doc Marten shoes, the look was created by Doctor Who costume designer Howard Burden. Commenting on his costume, Peter Capaldi said: “He's woven the future from the cloth of the past. Simple, stark, and back to basics. No frills, no scarf, no messing, just 100 per cent Rebel Time Lord.” While lead writer and executive producer Steven Moffat added: “New Doctor, new era, and of course new clothes. Monsters of the universe, the vacation is over - Capaldi is suited and booted and coming to get you!” This new look will be featured in the series when Doctor Who returns to BBC AMERICA later this year. Filming on the upcoming season, which also stars Jenna Coleman (Death Comes to Pemberley) as companion Clara, is currently underway in Cardiff. Big Finish has won an award. In fact a pretty prestigious award for their audio adventure Dark Eyes which starred Paul McGann and if you haven't picked it up it is truly a really great story to listen too. The BBC Audio Drama Award were announced yesterday and Big Finish took home the award for Best Online or Non-Broadcast Drama for Doctor Who - Dark Eyes: The Great War. This is a pretty cool award for Big Finish and the Doctor Who audio adventures as they were a big part of Doctor Who and helped fill the void when the show was not on the air and now as a compliment to the new show. Steven Moffat had this to say. You can get Dark Eyes at the Big Finish website for its original pre - order price and Big Finish has extended its sale till Tuesday of 8th Doctor audio adventures to celebrate this win with the fans. You can read the full story at this link. 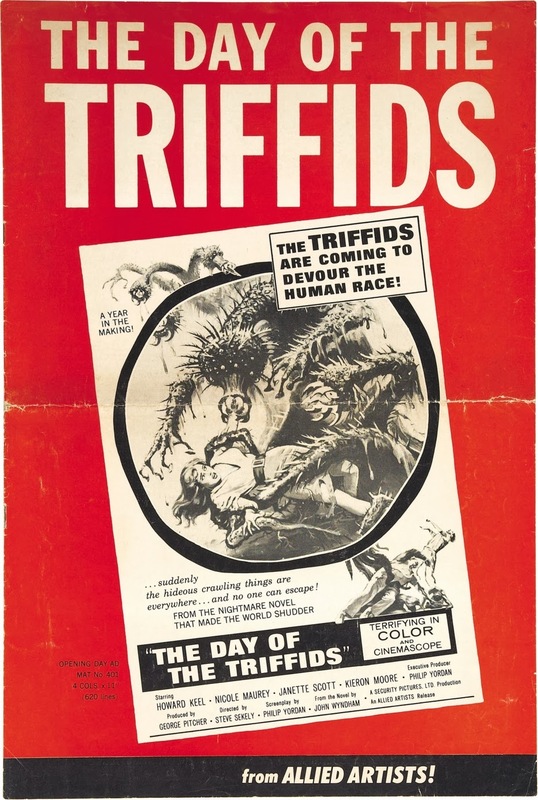 Mike Newell (Donnie Brasco, Harry Potter and the Goblet of Fire) will direct this adaptation of John Wyndham's 1951 novel. Neil Cross (Luthor, Mama) is writing this latest theatrical version of the story which features deadly plants on the rampage. There has been a 1962 film version, with Carol Anne Ford (Susan of Doctor Who) in it, several radio plays and two TV series (1981 and 2009). 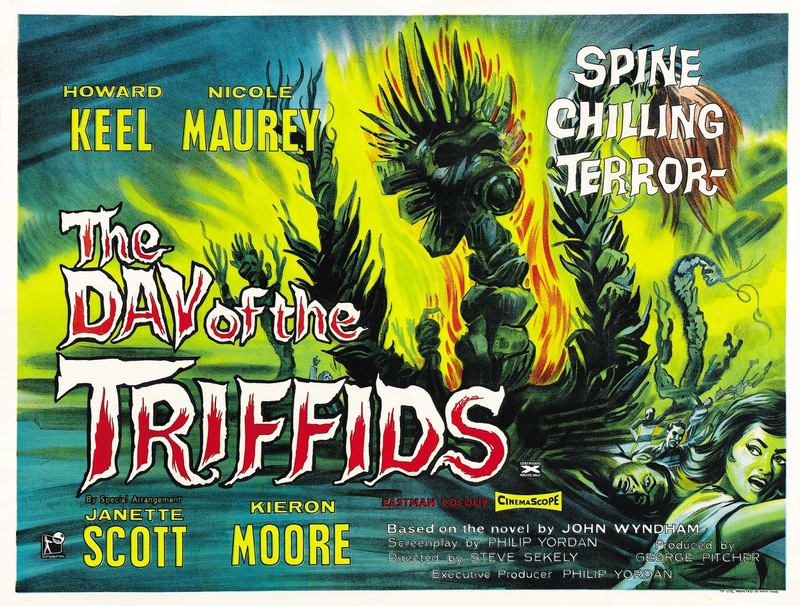 The original story always fascinated me as it wasn't just killer plants attacking people. A meteor storm hits the Earth, blinding the vast majority of the population. Couple this with these mobile tree like plants, and the concept is pretty creepy. Remember just a few years ago getting Time Screen Magazine and seeing all those cool shows that aired in the UK? No? Since I was already a fan of Doctor Who and some other British shows, it seemed to me that the rest of the stuff would be all good but was going to be impossible to see. At the time shows were slowly coming out on VHS tape but unless I found bootlegs of Time Slip or Doomwatch, I was out of luck. As an American I so badly wanted to see many of those. Years later we have You Tube and now virtually anything is available to watch. I have known this for years of course but unless I stumbled across something by accident, I rarely ever thought about hunting down these gems. Missing Doctor Who episodes have been in the news lately with the recovery of The Enemy of the World and The Web of Fear. There have also been finds of episodes that all ready exist but what is strange is that they were found in a place no one had any idea they were. With the United States Army Armed Forces network. 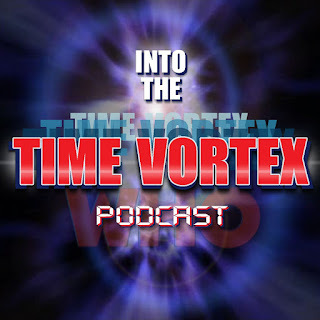 Will Barber - Taylor interviewed Andy Lehrer the man directed Ian Levine to Keith Perron the man who found the tapes of Doctor Who episodes. With this discovery it gives us hope that there is more Doctor Who film cans out there to be found. Thanks to Will Barber - Taylor for allowing us to post this interview. For those with a keen eye this is the interview that was on The Consulting Detective, The Cult Den and Doctor Who World Wide websites. There are very little details to report on this DVD as it is a bare bones release. Yep a vanilla copy with none of the extras/VAM that we have come to expect from BBC World Wide and the Restoration Team that give us the great making of and commentary tracks that usually accompany a Doctor Who DVD. Not this time though. Another downer is that the missing episode three will be the telesnap reconstruction that is on the iTunes release. So no animation for the missing episode three in which we have come to expect from other releases like The Moonbase which came out this week. 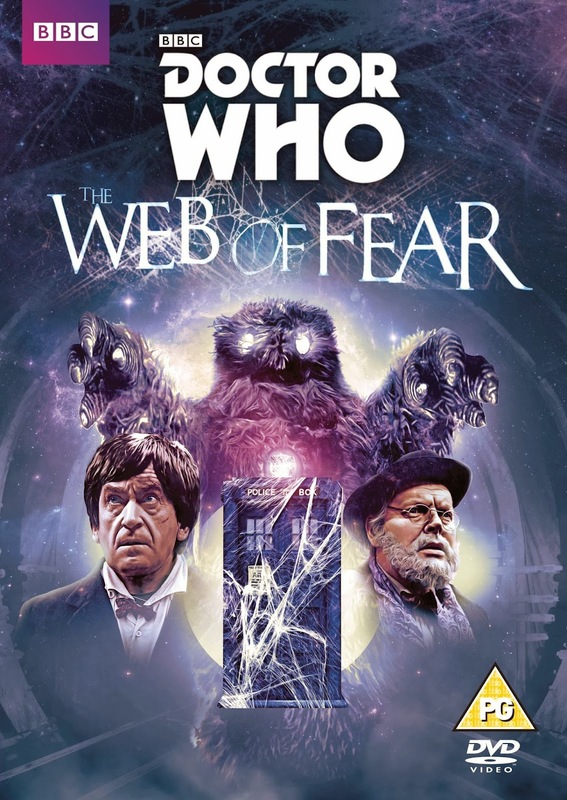 So if you just want to see the story and did not buy the iTunes release then you can buy this DVD of the Classic Patrick Troughton Story on February 24th in the UK. 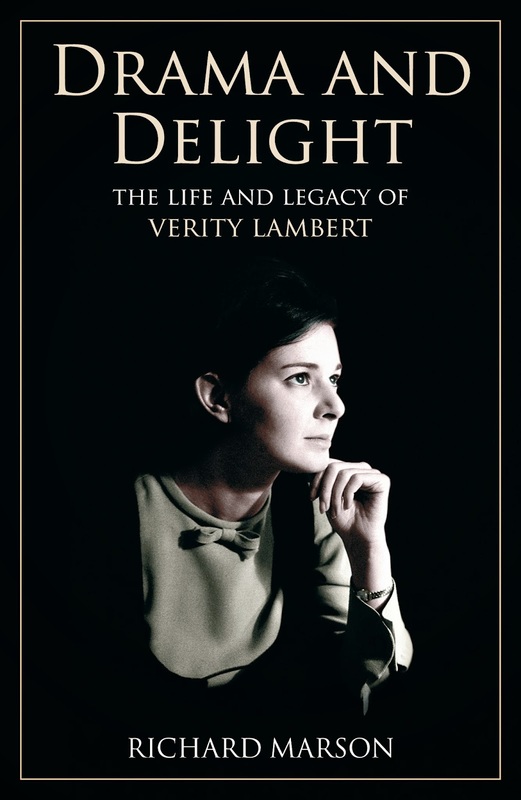 Doctor Who - New Biography For Verity Lambert "Drama and Delight: The Life and Legacy of Verity Lambert"
If you are interested in the woman who was an integral part of Doctor Who's beginnings and the docudrama An Adventure In Space and Time pic your interested even more then there is a book for you. Richard Marson a former Doctor Who Magazine writer has written a biography about Verity Lambert who was Doctor Who's first producer and a pioneer for woman in the television industry. This book is a must have for fans who are interested in Doctor Who's early days and one of the most notable woman pioneers who opened doors in an industry ruled by men. You can order this book from Miwk Publishing at the link. In YAIBA: NINJA GAIDEN Z, players will battle fierce zombies as Yaiba, a cyborg ninja who will do anything to get revenge and stay alive. Cleaved in two, he is brought back to life with cyber-technology. 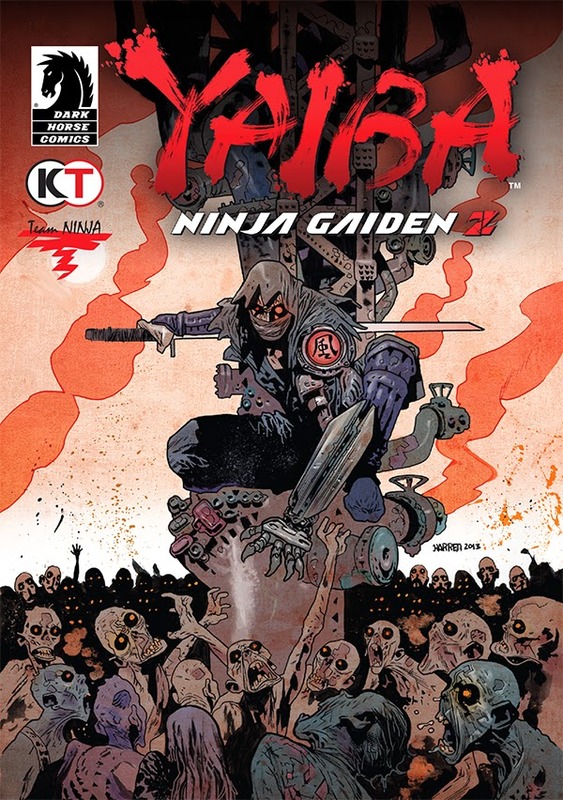 Brandishing his ninja sword and the mecha weapons in his cyber arm, he slaughters zombies with brutal, over-the-top abandon. Step into a stylized living comic book where stunning graphics depict a world gone mad. Hordes of undead can only be stopped by Yaiba's willingness to use any means necessary to get the job done. Will he kill by turning his cyber arm into a razor chainsaw for slicing up undead”or just rip off an opponents arms to use as zombie nunchucks? Both possibilities fill Yaibaâ's heart with twisted laughter in this collaboration between famed developers Team NINJA and comcepts Keiji Inafune. YAIBA: NINJA GAIDEN Z will be available for the PlayStation 3 computer entertainment system, Xbox 360 ® video game and entertainment system from Microsoft and Steam (PC) March 18, 2014. This title has been rated M (Mature) by the ESRB. For more news about Team NINJA, visit http://teamninja-studio.com, and don't forget to like us on Facebook at http://www.facebook.com/teamninjastudio and follow us on Twitter @TeamNINJAStudio. Matt Smith won Best Drama Performance and Doctor Who won Best Drama at tonight's National Television Awards. The British award show which is similar to the Peoples Choice Awards show here in the US as the winner is picked by the fans. 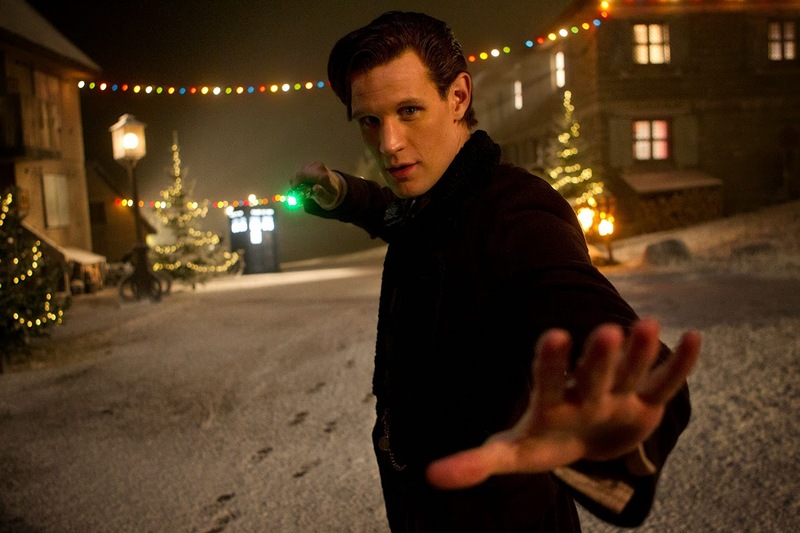 So congratulations to Matt Smith and to Doctor Who on winning the NTA. 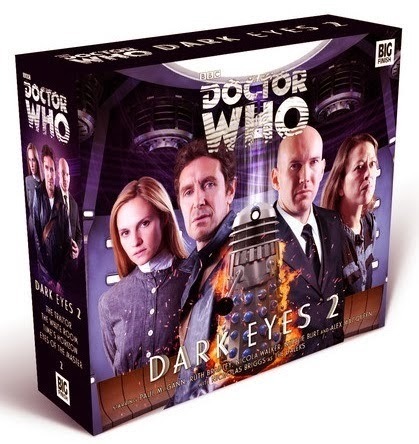 Doctor Who - Synopsis For The Paul McGann Audio Adventure "Dark Eyes 2"
The sequel to the popular and one of the best Paul McGann audio adventures from Big Finish Dark Eyes 2 will be out in February. The 4 disc box set sees the 8th Doctor going up against the Daleks once again. He is joined once again by Molly O' Sullivan the World War One nursing assistant. 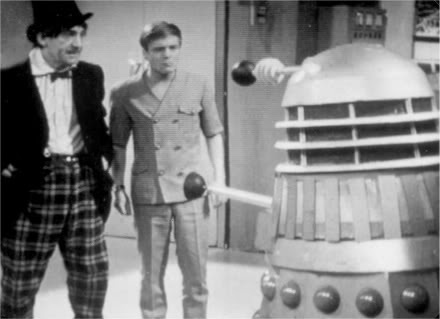 Plus there is an old enemy tagging along to make things difficult for Doctor 8. You can order it at the Big Finish website. 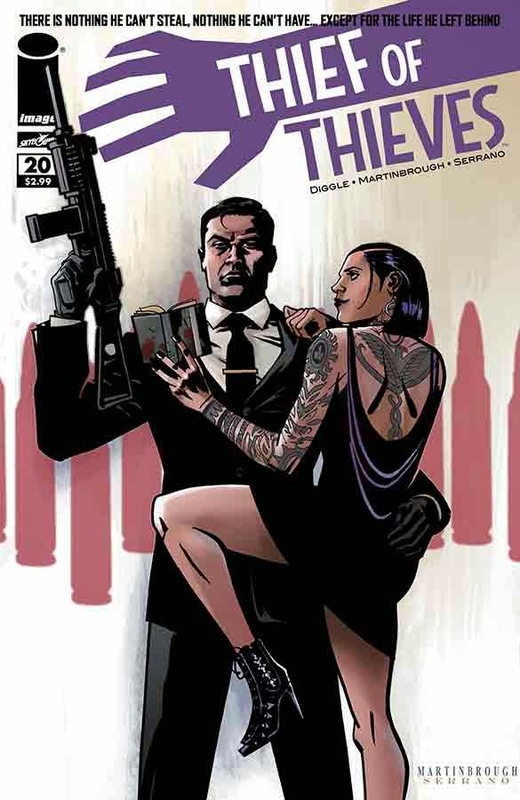 Here is an interesting new book by Image Comics. A story about revenge will be out in April. 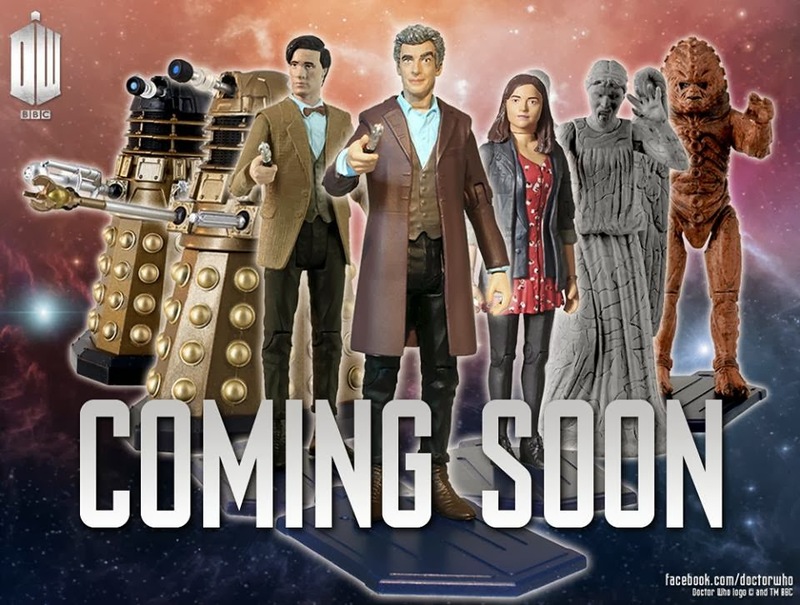 2014 will be seeing some new Doctor Who toys coming out and our first glimpse is of the 3.75 inch range and the first 12th Doctor action figure. We also get a Zygon and a couple of repeats like a Weeping Angel and old style 11th Doctor. In this set we get Clara also even if her face sculpt doesn't look right. 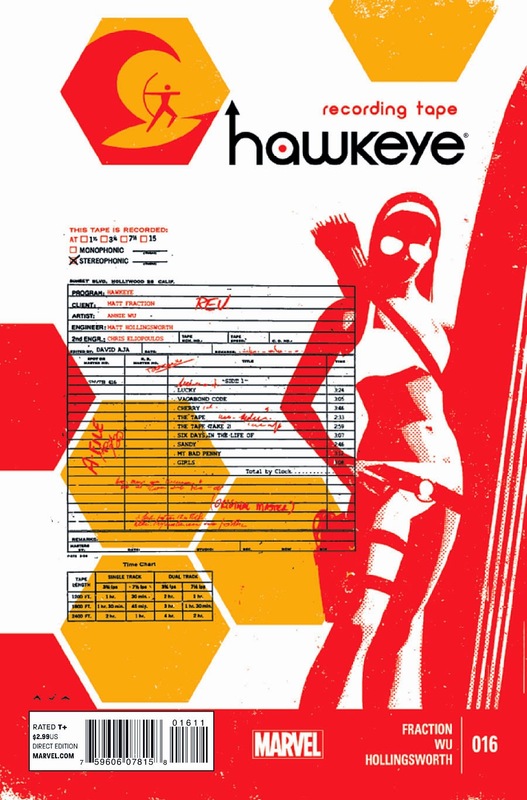 Here's hoping we get some 5 inch figure news soon. 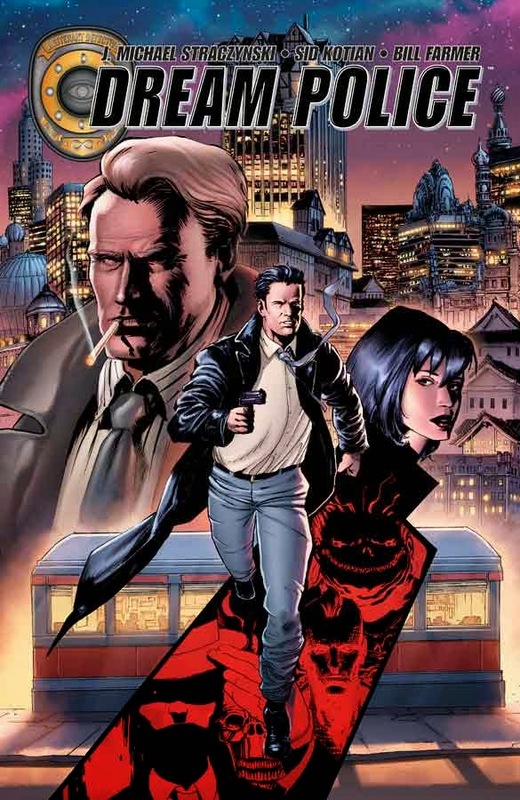 Comic Books: J. Michael Straczynski and Image Comics Brings You "Dream Police"
The man who brought us Babylon 5 now brings us another science fiction comic and no it isn't the song from Cheap Trick but it does have some similarities. 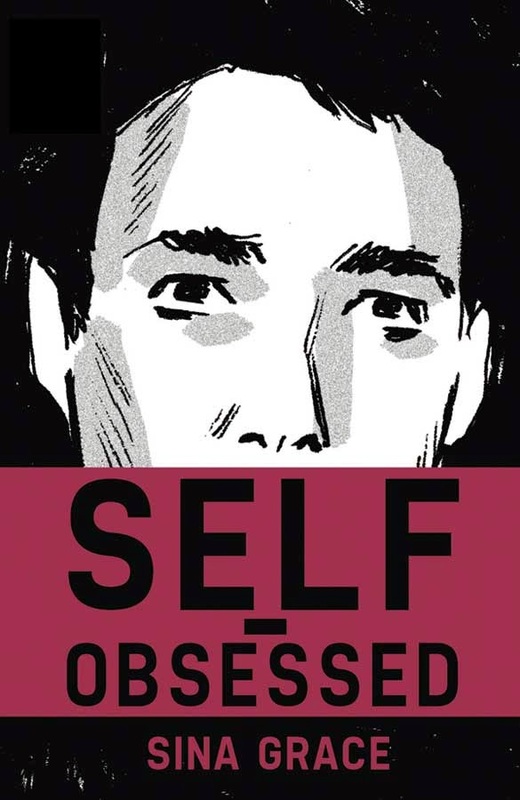 Comic Books: Sina Grace and Image Brings You "Self - Obsessed"
Last year IDW license was not renewed to make Doctor Who comic books anymore and there was a big void in the comic book department. Now the news is out that Titan Comics will be taking over the license and Doctor Who will be appearing in comic books again in 2014 with Peter Capaldi'd Doctor taking center stage. New Trailer For The Disney Movie "Maleficent"
Here is a trailer for the new Disney movie based on the villain from Sleeping Beauty. 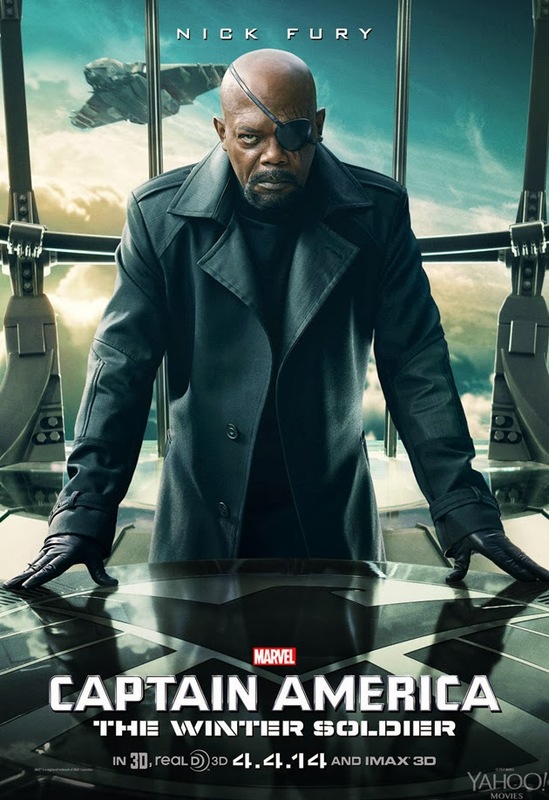 Doesn't look to bad and might be interesting seeing more about this character. Maleficent is out May 30th. 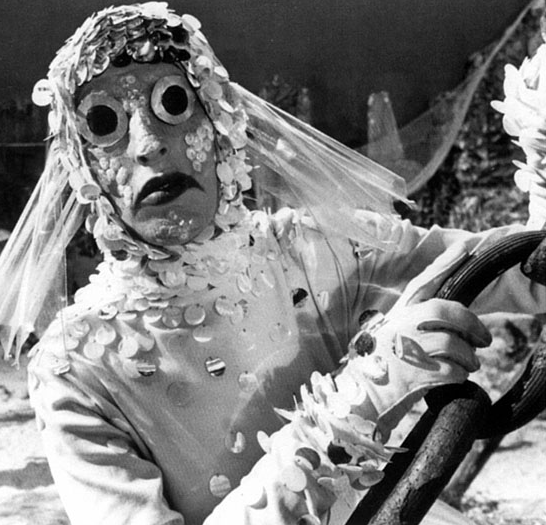 The trailer for The Underwater Menace which if you believe the rumors has been postponed to later this year and the animation has been halted still gets its trailer released on The Moonbase DVD. 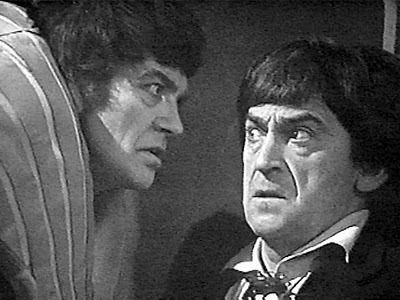 This Patrick Troughton story has two surviving parts in episode 2 and three and would have episodes 1 and 4 animated. We'll post any news on this future release when it becomes available. 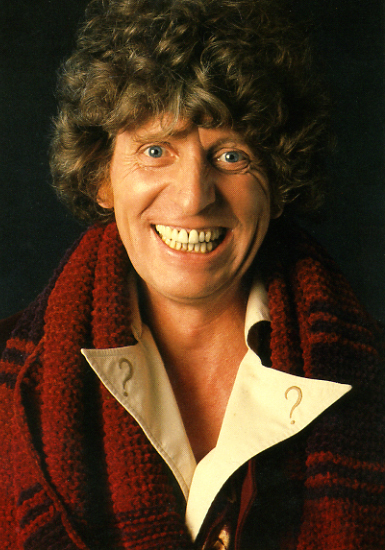 Doctor Who - Happy 80th Birthday Tom Baker plus Birthday Interview!!!! Tom baker turns 80 today and he did an interview with Doctor Who World Wide about his time on Doctor Who and about returning for the 50th Anniversary. 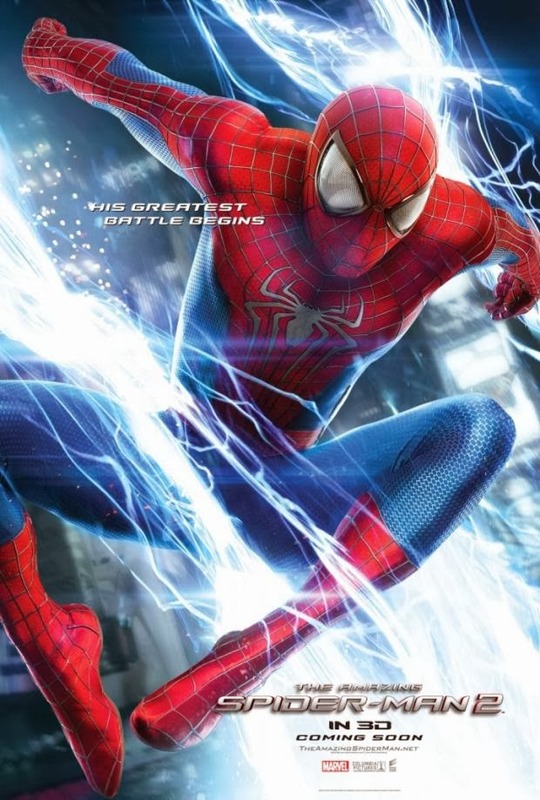 Here are three new posters for the second movie in the The Amazing Spider - Man franchise which comes out on May 2nd in the US and April 18th in the UK. 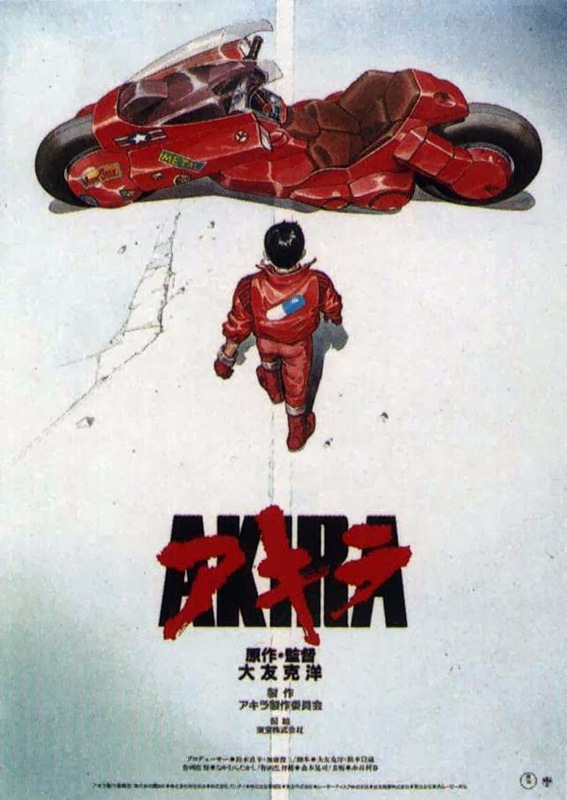 Akira - seen it for the first time! I watched Akira for the first time just this past weekend. This anime movie was on my list to watch for years but never even came close to watching it until I recorded it off Toonami in December. This HD presentation was pretty spectacular and while I prefer subtitles, the dub version was acceptable especially as I would be able to concentrate on the visuals. I love the visuals and the usual weirdness of anime, especially toward the end. 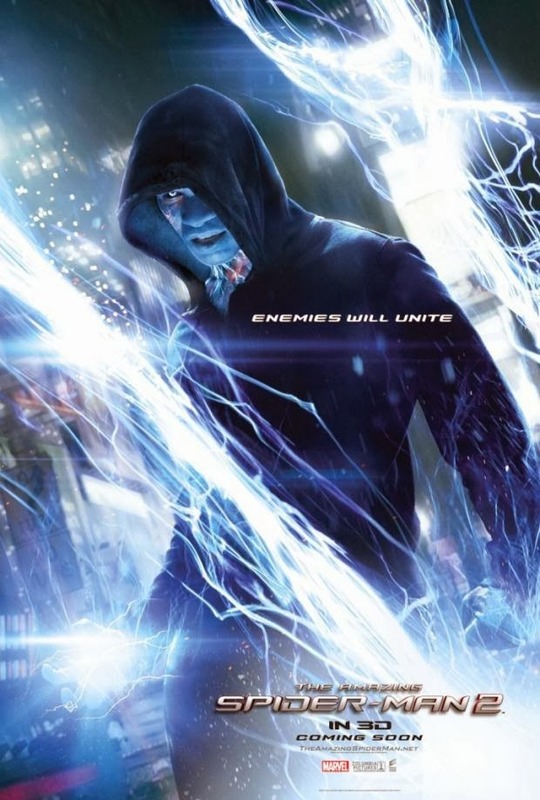 The movie had an excellent story and was full of action. The characters are well defined and there is a small amount of humor which worked perfectly. I love the whole style and look of the film and really enjoyed the animation in all its glory. I have not seen that much anime but am glad I finally caught this. To me this seems to be like most other anime of this type, complete with some kind of out of control power that grows larger and potentially will kill everyone. The cyberpunk setting was well thought out and I can imagine that all of this would have been incredible to see when it came out in the 80's. It holds up really well and it is a film I will most definitely re-visit at some point in the near future. 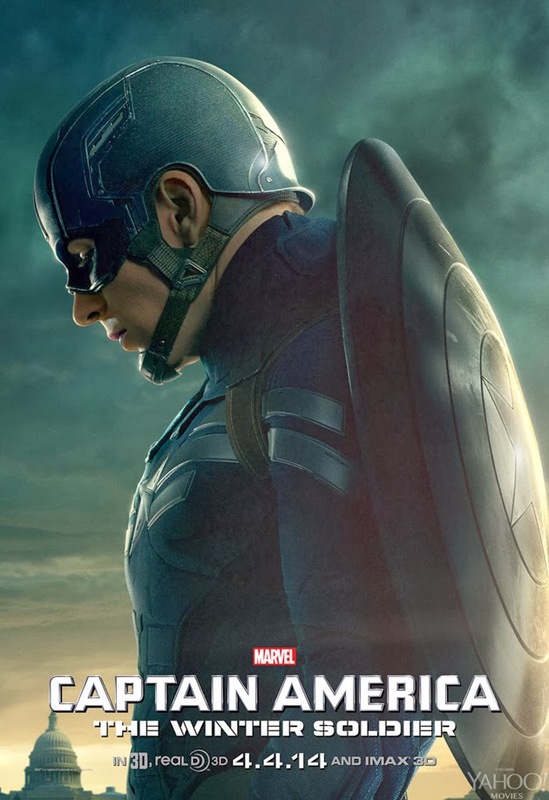 I would be interested in a live action version but can see how an American could potentially be altered too much. I am really surprised that there has been no sequel made. Anyhow, if you get a chance to see this classic, groundbreaking sci-fi tale, give it a shot! Well, that is probably a good idea. 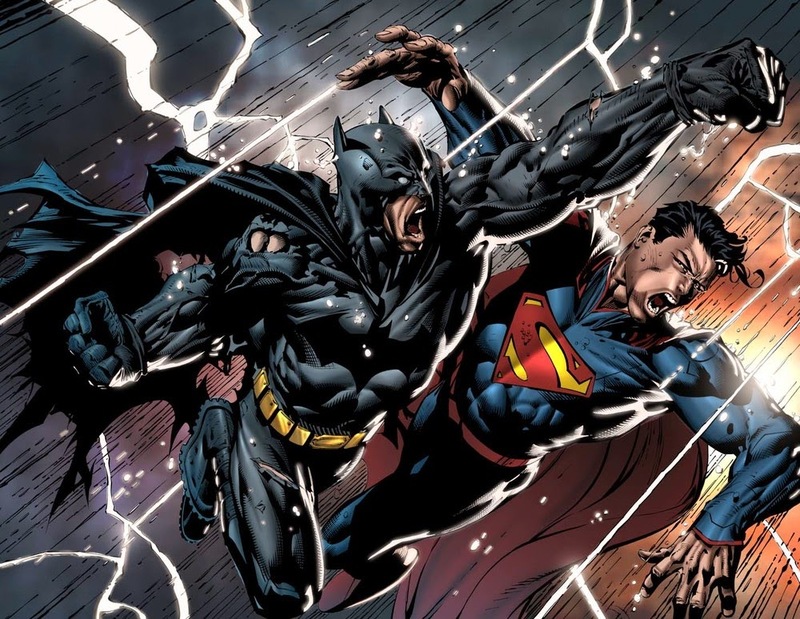 Originally scheduled to go in 2015 along with every other sequel and remake in Sci-Fi and Fantasy you can imagine (Terminator, Mad Max, Jurassic Park, The Avengers, Fantastic Four, James Bond and Star Wars just to name a few) Man of Steel 2 will wait until 2016 and I would expect a couple more will follow suite. Many will agree that Man of Steel 2 will have a lot to live up to. Not only does it have to introduce and sell to us a new Batman (Ben Affleck) but it also has to do damage control for the many fans who were let down by Man of Steel. 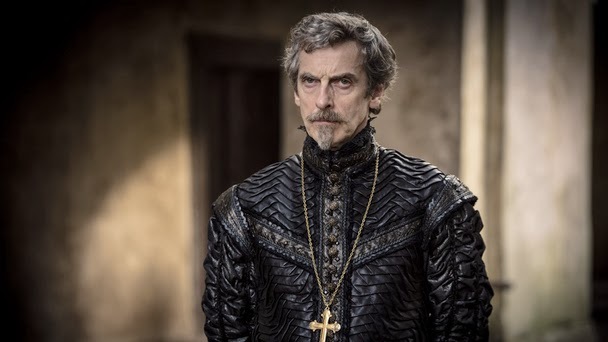 We finish up with The Musketeers interviews with the 12th Doctor himself Peter Capaldi playing the villain of this series Cardinal Richelieu. He sat down with the BBC Media Centre to talk about his role in The Musketeeers which airs tonight on BBC One. How would you describe your character in The Musketeers? Cardinal Richelieu is protector and confidant of the king as well as being essentially the first minister of France. He runs the country. He is a military figure as well as a religious and political one. He has a network of spies and operates like an illegal secret service to pursue his ends. He is by nature Machiavellian. Academy Award Winner Aron Warner Publishes PARIAH With Dark Horse! JANUARY 15, MILWAUKIE, OR—As announced at Comic-Con International 2013, Aron Warner, the Academy Award–winning producer of Shrek, is bringing his acclaimed webcomic Pariah to Dark Horse Comics! Could Sherlock Be Returning Later This Year???? Is Johnny Depp In Line To Play Doctor Strange???? Sherlock - Promo Pics For "His Last Vow"